It can often be difficult to find the best way to style and maintain your fine hair, without causing your hair damage. Woman of the UK are always wondering if their hairdryers are getting the job done or just sizzling your delicate locks. Luckily for you, we have created a review guide to the top 5 UK hairdryers of 2019 that are great for fine hair. 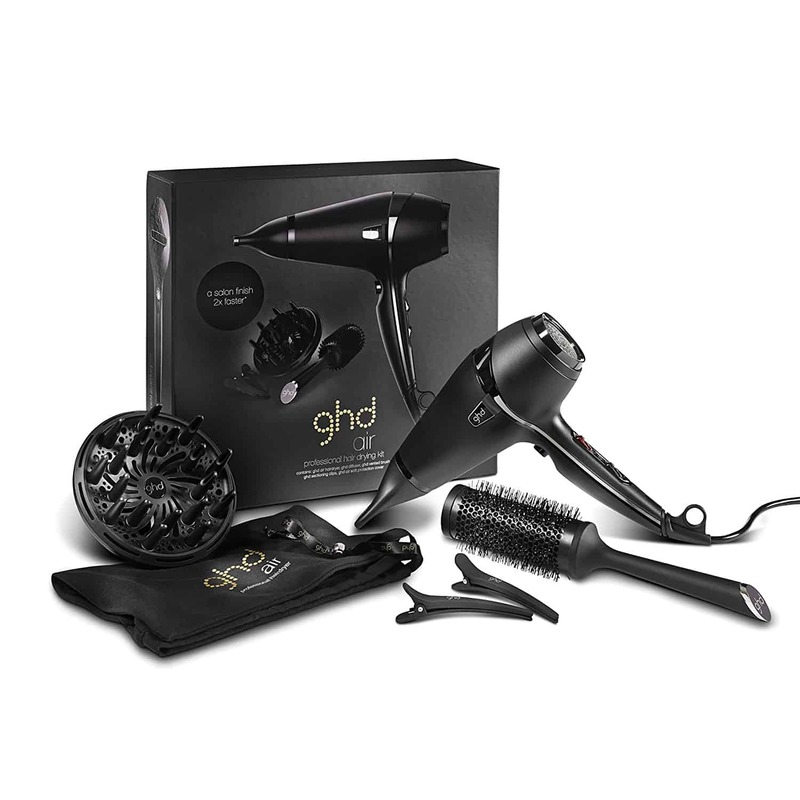 GHD Air Hair Dryer Set, with this being the most trusted brand out there as we all know it, this new style of dryer is our top choice for the best hair dryer for fine hair uk of 2019. Read below to learn more about this exciting new dryer. Thin hair means that you have fewer hair follicles that are placed close together so it still shows as a full head of hair. 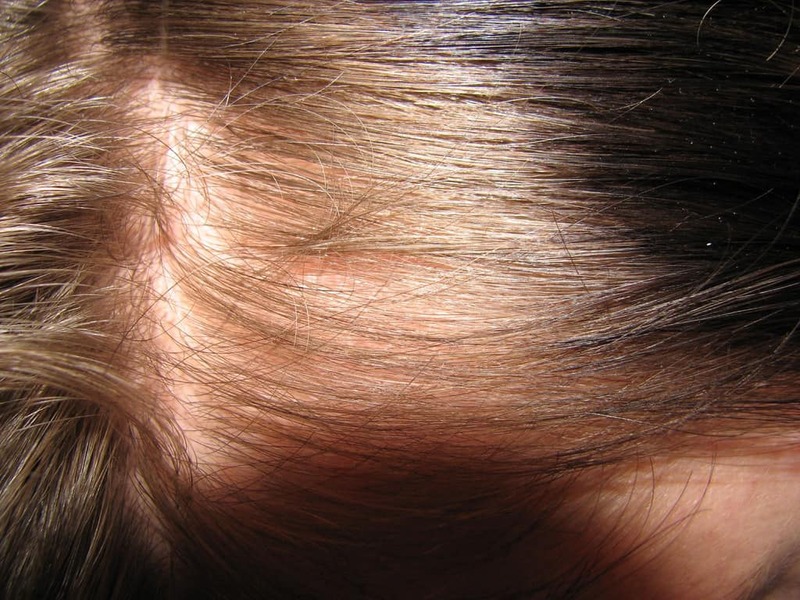 Having thin hair can often result in being able to see the scalp underneath. You can have thin, coarse hair, which will still affect how your hair looks, as although the strands are coarse there are less of them, leaving gaps. Fine hair is determined by the thickness of the actual hair strand. The thicker the strand, the coarser the hair will be. If the hair strands are thin then hair is classified as fine. So its very important to choose the best hair dryer for thin hair. You can have lots of hair but still, have fine hair as the strands will be thin and often fall flat. So, whichever category you fall into let’s find the best hair dryer most suitable for you. Fine hair can be a real pain as it is thinner and has less texture than thicker hair. It can be harder to style because it is often so straight and flat. It is also likely to be weaker than thicker types which often makes it a lot easier to become damaged, and easily break off when heat is applied. The best dryer you can choose for your fine hair should have multiple heat selections, as hotter, excessive heat can quickly damage the hair follicles. Cooling settings are good to use to lock in the style you are trying to create without damaging your hair. Ionic or ceramic conditioning is suggested as the best for fine hair, as again, it dries the hair quicker, gently and will leave you with a smooth finish. We all want to feel as great as we do when we leave the hairdressers, so finding a hairdryer that’s as good as what the professionals use is the way we can replicate that celebrity look and feeling we have when leaving the salon. Professional hairdryers don’t always have to be costly but suprisingly can still give you the salon style you’re looking for. Professional hairdryers are always top quality, as it is a must for salons to give the best service to their clients and have the best equipment. 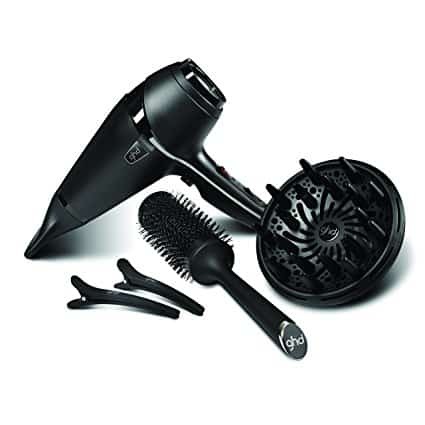 It could be suggested that the best professional hair dryer to use on fine hair could be the GHD Air Hair Dryer Set. Whilst travelling, whether it’s a holiday or just simply for work, our hair should not receive any different treatment from our hair products or the regular hair routine you use. Of course, we all find it hard to pack lightly especially us ladie, so a hairdryer that is small and compact will help with our luggage troubles. It will dry the hair quickly and is less damaging due to lower heat settings and less power. The best travel dryer for fine hair that we have chosen is the TRESemme 2000 travel dryer. To start with, this travel dryer has a voltage selection which is great for when you are on the move. But also so you don’t blow your hair away with a high wattage that is too much for you to handle. Too much heat on fine hair can make it dry or cause breakage. The Tresemme dryer has multiple speed settings. This is beneficial, as is using lower temperatures on finer hair. The dryer also comes with a mini paddle brush which is a good size for thinner, finer hair. Larger brushes tangle the hair resulting in tugging or pulling. Take a look at Tresemme's own paddle brush! Hair has negative and positive charged places on it. Wet hair is positively charged and ionic hair dryers emit negative ions which divide the water particles to evaporate them faster. Ionic hair dryers dry the hair faster because as well as the heat and air blow, they have ionic support speeding up the process of evaporating the excess water on the hair after washing. Ionic benefits are great for busy women who don’t have endless time to dry their hair, or for those with longer hair who just need a quicker drying time. We would suggest that the John Frieda Luxurious Volume dryer is the best ionic hair dryer for fine hair. 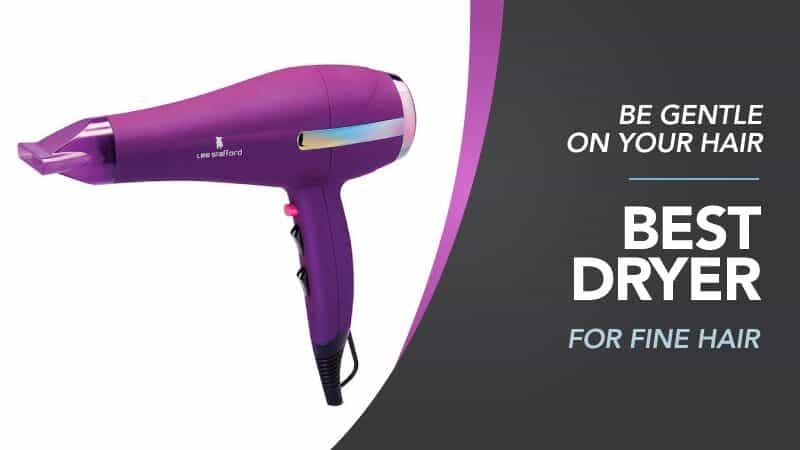 Despite having ceramic and tourmaline properties, this hair dryer uses ion technology through a diffuser to create a volume which is great for people with fine hair as it can often lack that extra volume. By having ionic drying as well as a diffuser, it will give life to your flat hair. Choosing a hairdryer is also dependent on ho﻿﻿w much you want to spend, your hair type and the type of treatment and protection you want your hair to have. Things to look for in a hairdryer is the way that it dries the hair and how the dryer fits your needs such as drying time or your hair type. All hairdryers can be used in different ways such as drying straight with a brush or blow drying with curlers or a diffuser to enhance volume and style. Advantages of drying your hair using a hair dryer are that the hair is dried quicker, however using hairdryers can create an intense heat that can be hard on your hair so make sure you spend enough time choosing the right dryer for you. Things to look for in a hair dryer that will give it an advantage above others, firstly, would be to have multiple heat settings. As mentioned, lower heats are best for fine hair and higher heats are best for thick, coarse hair. For thicker, frizzier hair, tourmaline dryers are best but the best hair dryer for short, thin hair it should be avoided as it doesn’t provide much volume. Ceramic dryers would be better suited for fine or dry hair. Some tips and tricks on blow drying fine hair to get a little more volume can be found on the video below. 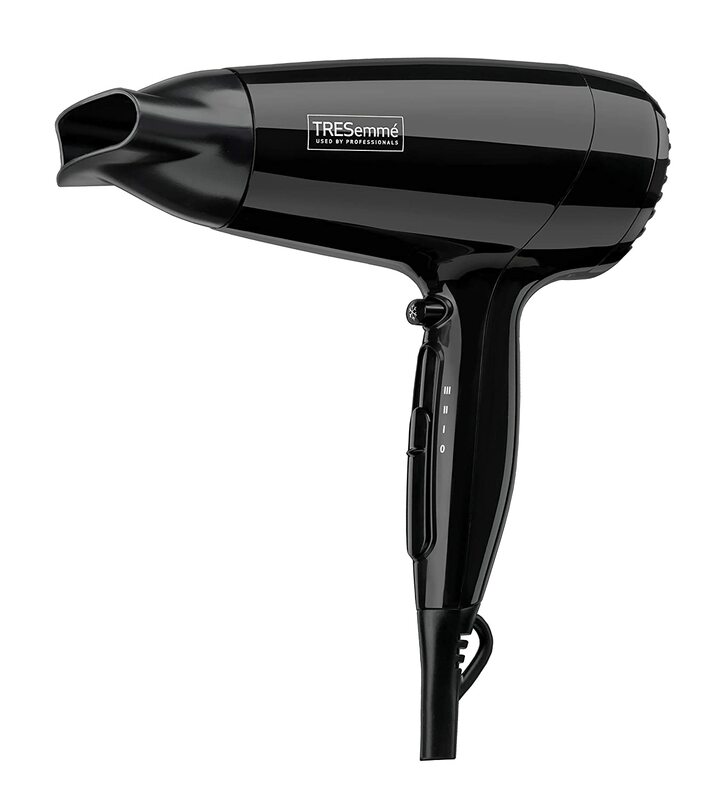 The Tresemme travel dryer uses both tourmaline and ceramic technologies. Ceramic qualities are great as they emit non-damaging infrared heat and control the heat well so that it will distribute the heat more evenly across the hair. Ceramic and tourmaline are also great for giving a smooth finished look. 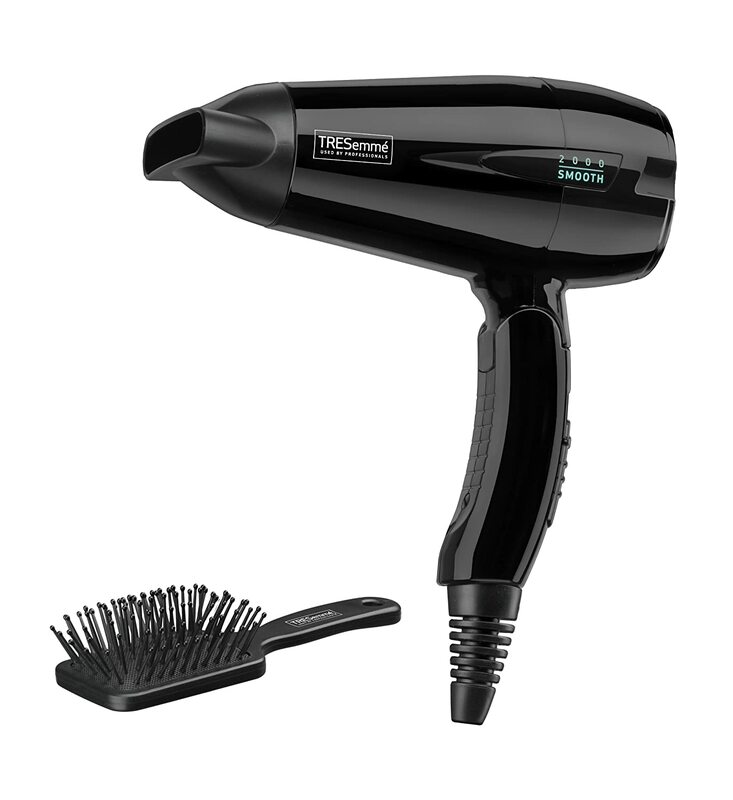 The Tresemme Travel 2000 is extremely well priced and fits needs for travel. It has a low wattage which is great as short and fine hair does not need much power. Customers were really happy with this product, especially as it is so light making it easy to use. Risk of over heating due to the small size. Voltage may not be powerful enough for some plugs. Customers found this hairdryer much quieter than others. Customers found product large in size. Q. Does it come with two concentration nozzles? A. It comes with one concentration nozzle, diffuser, vented brush, sectioning clips and protective bag. First of all, the John Frieda dryer is so light weight which makes it amazing for salon and home use. It has multiple speeds and heat settings which allow for heat selection so the hair is not put under too much heat. The large diffuser can be used to add volume to flat hair, however, a high wattage of 2200 could be too overpowering for finer hair, so make sure you consider how much heat and power your exposing to your hair. Customer reviews show this product has a long cord and is lightweight. Some customers feel the control button seems to close to wear you hold so will accidentally turn off and is more noisy than other hairdryers. The Cloud Nine dryer falls under both vitamin infused ceramic and tourmaline categories. Benefits of having ceramic qualities are that they heat up quickly and evenly. However, Tourmaline dryers do not tend to build volume so can be less effective when styling. Although the lightweight is best for salons as they are in constant use. Customers are pleased with how quick this hairdryer dries your hair, making it easy if you have thick hair and even quicker for your fine hair. Doesn't come with uk plug. 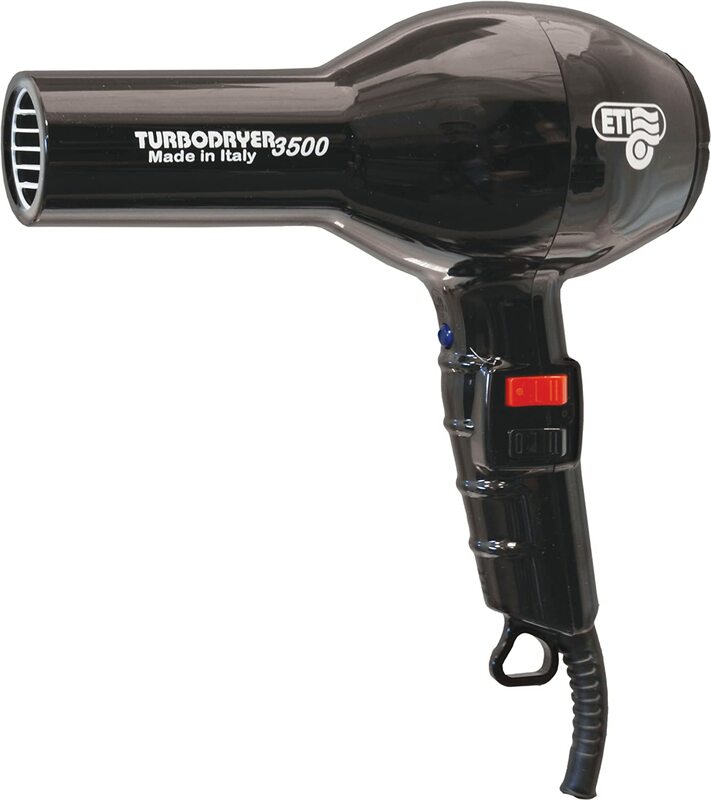 The ETI Turbo Dryer has an ergonomic handle which makes it much easier to grip and comfortable to hold. This dryer is a little more expensive than some of the travel dryers but still well within most peoples budget. As a Professional Salon dryer, this give a top quality outcome. It also adds shine and smooths any flyaway hairs and would be highly recommended as a professional hair product. Customers feel the cool shot button is useful. Customers feels this is slightly noisy and not very durable. 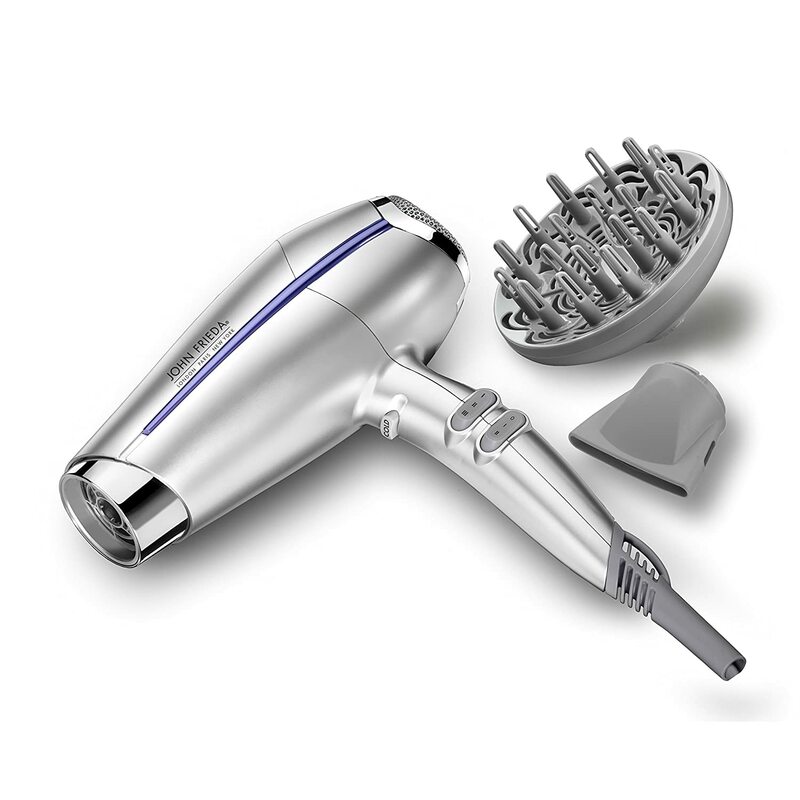 Finally, the best hair dryer for fine hair uk is ... Ghd Air Hair Dryer Style, mainly because of its outstanding qualities. By using ion technology, it prevents the hair being under the heat for longer and uses a more natural way to dry the hair by dissolving the water at a quicker rate. Despite being a little more expensive, however not as expensive as the Salono, it has a top salon quality feel about this dryer. The ionic capabilities mean that it will protect the hair as well as give it a smooth and sleek finish. The concentrator nozzle is great for those with fringes or if you want to dry your hair straight if your hair isn’t straight already. 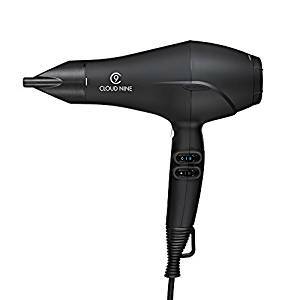 A little more powerful than the travel dryer, at 2000W, this is a good amount to get the right blow power without exposing your hair to excessive heat. This dryer will dry the most effectively without damaging your hair and I think it really does tick all the boxes to support your fine hair. With all the options out there, it can be nearly impossible to choose the right Hair dryer for you. For thin hair , your best option is almost always going to be ceramic ion material and a low temperature setting. So remember, tourmaline dryers are better suited for thick or long hair always choose ceramic. Don't be fooled by many hairdryers which are a combination of tourmaline and ceramic which could still cause slight damage to fine hair. When choosing your dryer a cold shot button is key to be able to style your lifeless hair and heat change settings are essential to have control over this so you can use the lower tempertures when needed. We hope we have narrowed it down enough for you to be able to have an idea on which Dryer to choose for your fine hair.